The New York Stock Exchange is the largest stock exchange in the world, and billions of dollars worth of stocks are traded there every day. The Financial District that surrounds it is central to the importance of New York City. But because of tightened security measures after the terrorist attacks of September 11, 2001, which occurred mere blocks away from the New York Stock Exchange (NYSE), the building is no longer open to the public for tours. New York City has been home to securities markets since 1790 when Alexander Hamilton issued bonds to deal with debt from the American Revolution. The New York Stock Exchange, which was originally called The New York Stock and Exchange Board, was first organized on March 8, 1817. In 1865, the exchange opened in its current location in Manhattan's Financial District. In 2012, the New York Stock Exchange was acquired by InterContinental Exchange. 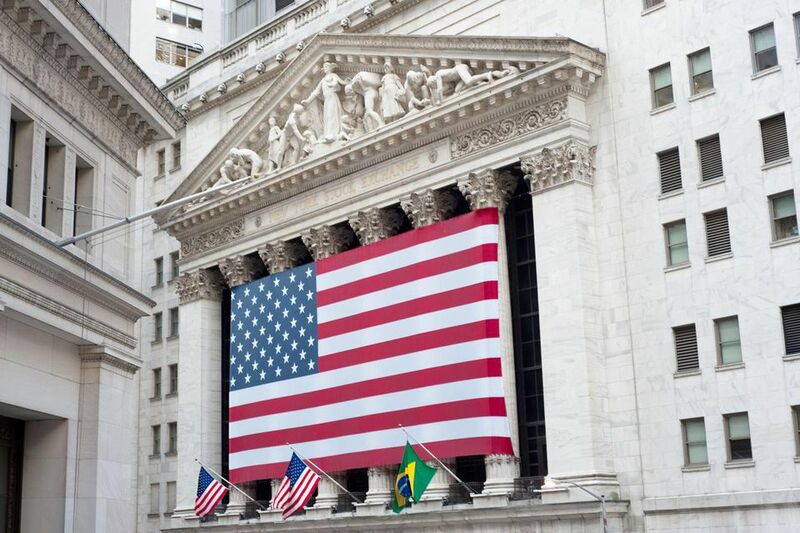 You can view the New York Stock Exchange building from the outside at Broad and Wall streets. Its famous facade of six marble Corinthian columns below a pediment sculpture called "Integrity Protecting the Works of Man" is often draped with a huge American flag. You can get there by subway trains 2, 3, 4, or 5 to Wall Street or the N, R, or W to Rector Street. If you want to learn more about the financial institutions in New York, you can visit the Federal Reserve Bank of New York, which offers free tours to visit the vaults and see the gold with advance booking, or the Museum of American Finance. Both buildings are also in the Financial District and offer insight into the inner workings of Wall Street. Although you can no longer visit the trading floor, do not get too disappointed. It is no longer the chaotic scene that's dramatized on TV shows and movies, with traders waving slips of paper, yelling stock prices, and negotiating million-dollar deals in a matter of seconds. Back in the 1980s, there were up to 5,500 people working on the trading floor. But with the advance of technology and paperless transactions, the number of traders on the floor has dwindled to about 700 people, and it is now a much calmer, quieter environment if still loaded with daily tension. The ringing of the opening and closing bell of the market at 9 a.m. and 4 p.m. guarantees that no trades will take place before the opening or after the close of the market. Starting in the 1870s, before microphones and loudspeakers were invented, a large Chinese gong was used. But in 1903, when the NYSE moved to its current building, the gong was replaced by a brass bell, which is now electrically operated at the start and end of each trading day. The Financial District is the scene of a number of different sights in addition to the NYSE. They include the Charging Bull, also called the Bull of Wall Street, which is located at Broadway and Morris streets; Federal Hall; City Hall Park; and the Woolworth Building. It is easy and free to see the exterior of the Woolworth Building, but if you want to take a tour, you will need advance reservations. Battery Park is also within walking distance. From there, you can take a ferry to visit the Statue of Liberty and Ellis Island. This area is rich in history and architecture, and you can learn about it on these walking tours: History of Wall Street and 9/11, Lower Manhattan: Secrets of Downtown, and the Brooklyn Bridge. And if you're into superheroes, the Super Tour of NYC Comics Heroes and More might be just the ticket. If you need a bite to eat nearby, Financier Patisserie is a great spot for light eats, sweets, and coffee and has several Financial District locations. If you want something more substantial, Delmonico's, one of NYC's oldest restaurants, is also nearby. Fraunces Tavern, which first opened as a tavern in 1762 and was later headquarters to George Washingon and home to the Department of Foreign Affairs during the Revolutionary War, is another historic restaurant where you can sit down for a meal, as well as tour its museum. Visit a Gold Vault in New York City! Where Did 'Gossip Girl' Film in New York City?